N. Korea & U.S. diplomacy? U.S. Department of the Treasury has identified a number of Russian and Chinese entities allegedly aiding North Korea and is vowing to place new pressures on them in an effort to curb North Korea's weapons program. The Treasury Department's Office of Foreign Assets Control (OFAC) listed ten companies and six individuals in a Tuesday press release that will be slapped with economic sanctions. 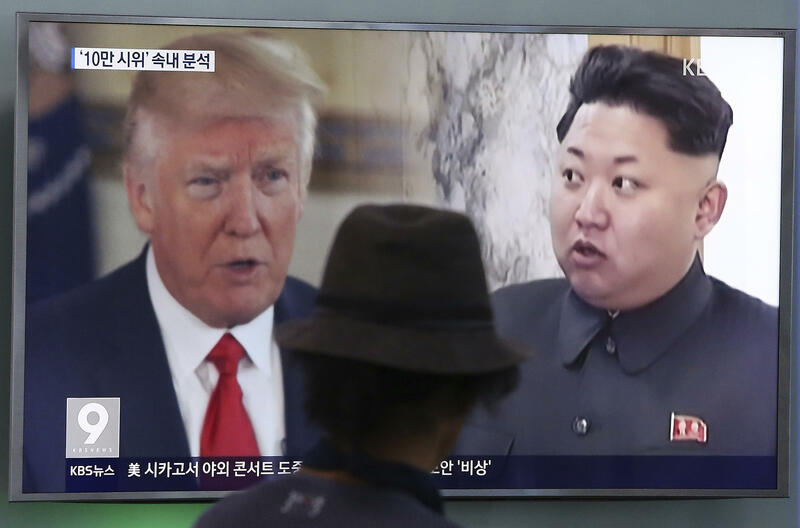 The sanctions, according to the release, are aimed at adding additional strains on North Korea to help end rapid advancements for a long-range nuclear arsenal. "It is unacceptable for individuals and companies in China, Russia, and elsewhere to enable North Korea to generate income used to develop weapons of mass destruction and destabilize the region," Treasury Secretary Steve Mnuchin said in the release. "We are taking actions consistent with UN sanctions to show that there are consequences for defying sanctions and providing support to North Korea, and to deter this activity in the future." The sanctions for the 16 entities, according to the release, complement other U.N. restrictions and executive orders, designed to curb funding of North Korea and, more broadly, the proliferation of weapons of mass destruction by foreign powers. One of the executive orders mentioned by OFAC was signed by President Obama in March 2016, which implemented strict sanctions on North Korea in response to its missile launches earlier in the year. OFAC also cites another order from President Bush in June 2005 that initiated the freezing of assets against developers of weapons of mass destruction and their abettors. OFAC's announcement placed the businesses and individuals aiding North Korea into three categories: missile production, coal and oil trading and labor exports. It accused Dandong Rich Earth Trading Co., Ltd, of supporting North Korea's missile development. The release claimed Dandong had purchased materials from a Korean-state corporation that's responsible for the country's missile production. Others implicated in support the missile program include Russian national Ruben Kirakosyan, director of Gefest-M LLC, based out of Moscow. China's Mingzheng International Trading Limited was also listed for supporting Foreign Trade Bank, a financial entity linked to waves of capital investment in missile development. Energy trading was the biggest revelation in the release. OFAC claimed North Korea pockets nearly $1 billion a year by exporting its coal to other countries. It listed some Chinese companies that have been facilitating this, such as Dandong Zhicheng Metallic Materials Co., Ltd, JinHou International Holding Co., Ltd, and Dandong Tianfu Trade Co., Ltd.
Chi Yupeng, a business leader at Zhicheng, was listed for allegedly using "a network of companies to engage in bulk purchases, wire transfers, and other transactions on behalf of North Korean interests." Russian businessmen Mikhail Pisklin and Andrey Serbin of Transatlantic Partners Pte., Ltd, were identified by OFAC for "operating in the energy industry in the North Korean economy." It accused Singapore-based Velmur Management Pte. Ltd, and its executive director Irina Huish, of circumventing existing sanctions and attempting "to use the U.S. financial system to send millions of dollars in payments on behalf of North Korean-related transactions." The Trump administration has in the past utilized sanctions to bring North Korea to the negotiating table. At a June congressional hearing, former Exxon Mobil CEO and now Secretary of State Rex Tillerson said the U.S., in order to be successful, would need to collaborate with other countries to cut off North Korea's energy lifeline. "We are going to have to move to work with others to begin to deny North Korea basic needs like crude oil supplies … whether we are getting cooperation from people or not," he said. Toward the end of the release, OFAC shined some light on lucrative labor practices connected to Pyongyang. It highlighted Mansudae Overseas Projects Group of Companies, which has allegedly exported North Korean workers to different countries to raise money for the ruling Workers' Party of Korea. Mr. Trump has placed a responsibility on China to deescalate North Korea's advancing weapons program. "I am very disappointed in China. Our foolish past leaders have allowed them to make hundreds of billions of dollars a year in trade, yet... they do NOTHING for us with North Korea, just talk," Mr. Trump tweeted at the end of July. "We will no longer allow this to continue. China could easily solve this problem!"